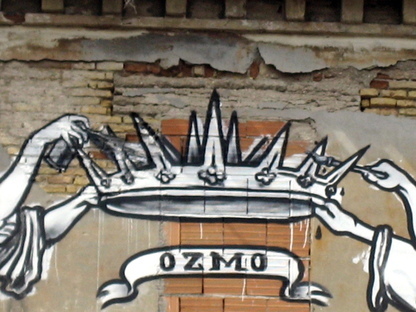 Ozmo is one of the most famous Street Artists in Italy. Ozmo is one of the most famous Street Artists in Italy. The exhibition at the Old Citadel and Guelph Tower, Pisa titled “Ozmo, every wall in town tells a story. Urban iconographies, from the wall to the canvas” brings his work into a museum context and a catalogue printed for the occasion explores his art in public spaces. The fact that Street Art has established itself as an artistic genre is a given, not least of which is due to world-famous artists like Banksy and his media stunts like the self-destruction of one of his works after it was sold at auction. For years now, Livegreenblog has been interested in this discipline that aesthetically enhances the whole world, and in addition to bringing colour and joy to less fortuitous places, it has become a driver of change and of urban and social improvement (link Boa Mistura). 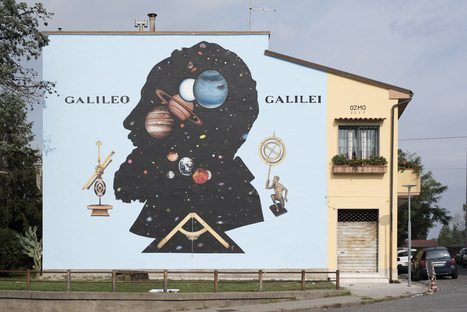 Italy also has its own Street Art scene and one of its most renowned representatives is Ozmo, aka as Gionata Gesi who was born in Pontedera, in the Tuscan province of Pisa in 1975 and studied at the Academy of Fine Arts. Now Pisa has dedicated a personal exhibition to Ozmo. Pisa is certainly no stranger to Street Art, since way back in 1989, when Keith Haring painted the mural called Tuttomondo, giving it to the city. This initial spark ignited the city and turned it into one of Europe's focal points for urban art. The local association, Start - Open your eyes has continued to make its own contribution to Street Art in the city with the murals at Porta a Mare. Now, its idea with this exhibition is to present a deeper exploration of the work of one of the fathers of Italian Street Art, one of the most well-known Italian artists on the international scene, Ozmo. “This Pisan Master, the precursor of a movement that is more cultural than artistic, shows with more than 50 paintings on recycled canvas and PVC how street art has now finally made its way into collections and prestigious museum,” explains Gian Guido Maria Grassi, with Alessandro Romanini, curator of the exhibition/ running until 3 February in the Old Citadel and Guelph Tower - Fortilizio and Torre Guelfa - in Pisa. The set-up by the architect Roberto Pasqualetti includes the adaptation of the site-specific art to the fortress of the Citadel of Pisa, whose architectural features with very high walls with their high walls, are ideal for accommodating murals and graffiti, developing the exhibition layout vertically. Starting from the ground floor, where, close to the ancient Porta Degathia, a large work dedicated to Justice has been installed. You climb up the stairs, level by level, to see the fifty most significant creations by Ozmo. The exhibition is completed by two videos and by photographic panels reproducing the mural painted by the artist in Italy and around the world. These have been set up inside the Guelph Tower next to the Fortress where visitors can also delight in the spectacular views of this Tuscan city. 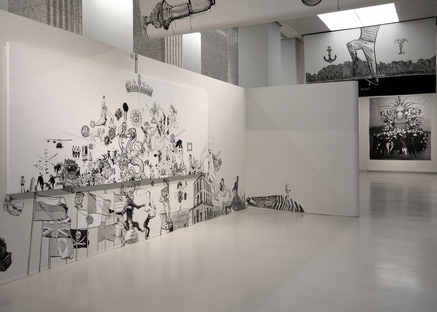 The exhibition “Ozmo, every wall in town tells a story. Urban iconographies, from the wall to the canvas” was organised by the Start - Open your eyes association, with the contribution of the Municipality of Pisa, the Pisa Foundation and the collaboration of the University of Pisa, the Palazzo Blu foundation and the Regional Government of Tuscany. 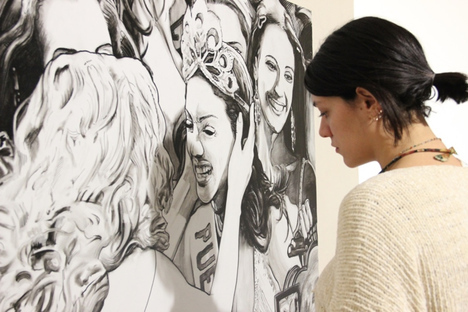 It is also accompanied by a series of workshop on street art.